kohanim-priests | Looking for that Blessed Hope! 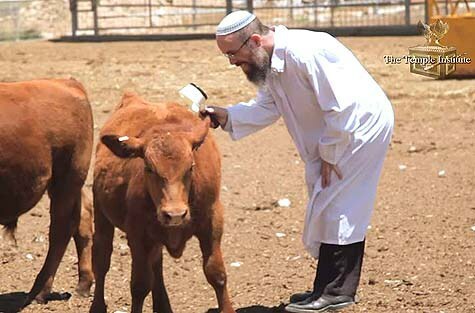 The Temple Institute has announced a bold new initiative to identify, select and register kohanim-priests who would be eligible to participate in the process of preparing the Red Heifer, which is used in the ritual of purifying Jews from the tuma-impurity of the dead. This unprecedented move represents the second stage of the Institute’s project to restore the concept of biblical purity into the world, something that will have immense repercussions on Jewish observance as we know it. Even before the Temple is rebuilt, the reinstatement of halakhically approved kohanim is a pre-requisite for preparation of the Red Heifer which will enable the people of Israel to perform numerous Torah-based commandments……. This entry was posted in Israel, Prophecy and tagged Israel, kohanim-priests, Red Heifer, Third Jewish Temple by atharris. Bookmark the permalink.